With the explosive growth of goods and services available on the Web through e-commerce, it is increasingly difficult for consumers to find the right products or services. Recommender systems provide consumers with personalized recommendations of goods or services and thus help them find relevant goods or services in the information overload. Since they were introduced a decade ago, recommendation technologies have made significant progress. This article presents a brief overview of recommender systems as an effective and powerful personalization tool in the e-commerce environment. Current major recommendation approaches are described and reviewed within a single unifying recommendation model and future directions are also discussed. Recommender systems and technologies will continue to have an essential role in future e-commerce and e-business. Electronic business (e-business) conducts many activities of a traditional business process by using information and communication technologies. 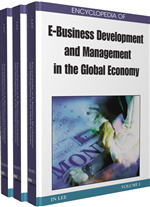 E-business is usually done through the Internet and intranets. As a part of e-business, electronic commerce (e-commerce) handles the process of buying and selling goods and services between business and consumers (B2C e-commerce). E-commerce evolved to deal with all types of business interactions (e.g. B2B e-commerce and C2C e-commerce). E-commerce typically uses the World Wide Web (the Web) on the Internet and has grown exponentially. With the explosive growth of goods and services available on the Web through e-commerce, it is increasingly difficult for consumers to find and purchase the right products or services. Recommender Systems are systems that provide consumers with personalized recommendations of goods or services and thus help consumers find relevant goods or services in the information overload (Resnick & Varian, 1997). Since its first introduction in the mid-1990s, a variety of recommender systems have been developed and used in a variety of e-commerce application domains including Amazon.com, BarnesandNoble.com, Netflix.com, mystrands.com and Yahoo.com (Konstan, Miller, Maltz, Herlocker, Gordon & Riedl, 1997; Sarwar, Karypis, Konstan & Riedl, 2000; Schafer, Konstan & Riedl, 2001). Over the last decade, recommender systems have been proven useful by sales increase and consumer retention, and are considered as an effective personalization tool in the E-commerce environment (Sarwar, Karypis, Konstan & Riedl, 2000; Schafer, Konstan & Riedl, 2001; Adomavicius & Tuzhilin, 2005; Goy, Ardissono & Petrone, 2007). The concept of recommender systems is relatively new (just over ten years old) and interdisciplinary, based on various technologies. However, recommender technologies have made significant progress. In this article, we present a brief overview of the field of recommender systems in the context of e-commerce. First, we characterize the personalized recommendation problem and present a unifying model of recommender systems. We then examine current major approaches to personalized recommendations within this unifying model. We conclude with emerging and future research trends and additional readings in the area of recommender systems. The first major recommender systems emerged in the mid-1990s (Resnick & Varian, 1997). Since then, a variety of recommender systems have been developed and used in a range of e-commerce environments, and research has continued to improve them. Basically, a typical recommender system provides consumers with personalized recommendations of goods or services in order to help consumers find relevant goods or services. The recommendations are based on the past and present profiles of consumers with respect to the goods or services. C_data contains a set of all consumers and optionally some additional information about all consumers. I_data contains a set of all items and optionally some additional information about all items. F_data contains information about feedback (such as rating, evaluation, purchase or interest) of the consumers on the items (that can be viewed and represented as a partial function that maps a pair of consumer and item into a feedback value). User-to-User Collaborative Filtering: Collaborative method that is based on similar consumers and recommends a list of items that other consumer gave feedback similar to that provided by the target consumer. Demographic Recommender Systems: Recommender systems that are based on demographic characteristics of consumers and recommend a list of items that have good feedback from the consumers that are demographically similar to the target consumer. Collaborative Recommender Systems: Recommender systems that recommend items through consumer collaborations and are the most widely used and proven method of providing recommendations. There are two types: user-to-user collaborative filtering based on user-to-user similarity and item-to-item collaborative filtering based on item-to-item similarity. Knowledge-Based Recommender Systems: Recommender systems that are based on knowledge and suggest items by reasoning about what items meet the target consumer’s needs. Recommender systems: Systems that provide consumers with personalized recommendations of goods or services and thus help consumers find relevant goods or services in the information overload. Hybrid Recommender Systems: Recommender systems that recommends items by combining two or more methods together, including the content-based method, the collaborative filtering-based method, the demographic method and the knowledge-based method. Electronic business (e-business): Activities of a traditional business process by using information and communication technologies through the Internet and intranets. Item-to-Item Collaborative Filtering: Collaborative method that is based on similar items and recommends a list of items that are similar to the items that were given good feedback by the target consumer.